In case you missed it, February 27th was "Give Our Georgia Friends a Drink Day," as proclaimed by Ron Littlefield, mayor of Chattanooga, Tennessee. 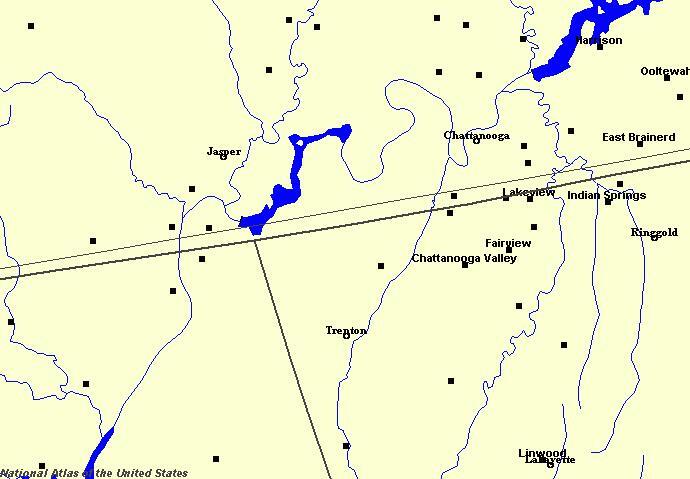 Littlefield said he was concerned about them because the Georgia Legislature had passed a resolution expressing Georgia’s intent to seek a change in the border between the two states, which Tennesseeans Tennesseeites people from Tennessee believe is a grab for Tennessee water. WHEREAS, [we have been trying for 190 years now to get this fixed] . 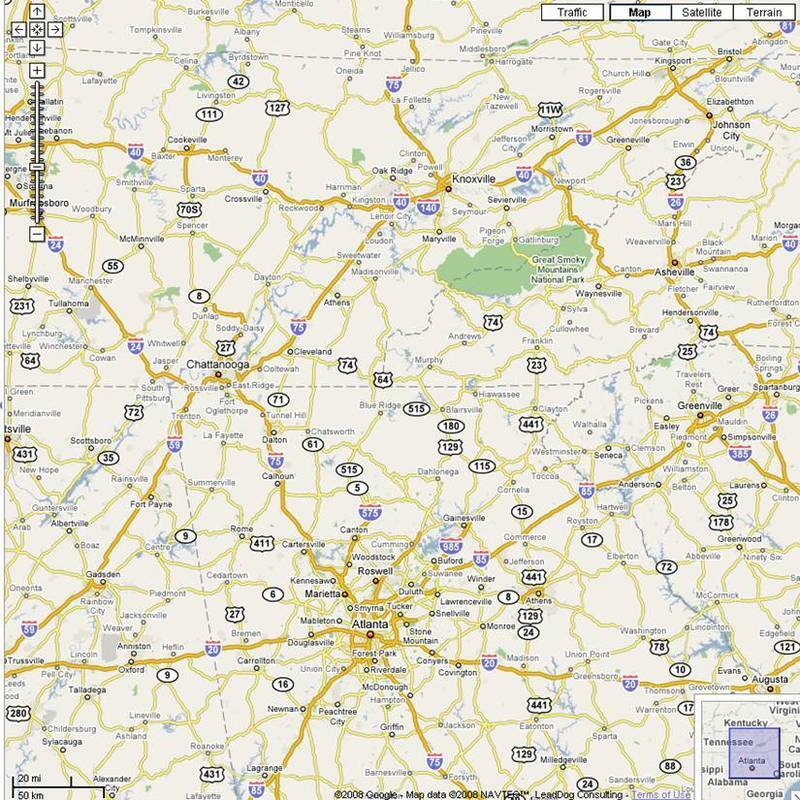 . .
BE IT FURTHER RESOLVED that there is hereby created the Georgia-North Carolina and Georgia-Tennessee Boundary Line Commission to [help him try again] and to take such [action as may be proper] to establish the definite and true boundary lines. WHEREAS, it has come to pass that the heavens are shut up and a drought of Biblical proportions has been visited upon the Southern United States, and . . . WHEREAS, the lack of water has led some misguided souls to seek more potent refreshment or for other reasons has resulted in irrational and outrageous actions seeking to move a long-established and peaceful boundary, and . . . WHEREAS, it is feared that if today they come for our river, tomorrow they might come for our Jack Daniels . . . I, Ron Littlefield, Mayor of the City of Chattanooga, Tennessee, do hereby proclaim that Wednesday, February 27, 2008 shall be known as "Give Our Georgia Friends a Drink Day." Littlefield and a local radio station collected bottled-water donations, which were then delivered to the Georgia capitol by a man dressed as Davy Crockett. Meanwhile, Rep. Gary Odom (D-Nashville) jokingly suggested that Tennessee might call up the militia if necessary to defend his state’s rights, a joke that would be a lot funnier if not made in the South. Ironically, Georgia actually did once go to war with North Carolina over a strip of that border, in two 1810 militia skirmishes called the "Walton War." North Carolina won. Not long after that, in what was probably an unrelated story, Georgia announced that there had been a mistake and that it didn’t really have a claim to the strip after all. Presumably, Georgia will ask the Supreme Court to resolve the dispute this time around.